While I was taking photographs of non-food items for my recent post on tableware, I figured I may as well show off my collection of dust bunnies kitchen kitsch. You may have noticed a vague Asian theme in my dining room, what with the Noh masks, netsuke, and Chinoserie-style furnishings. 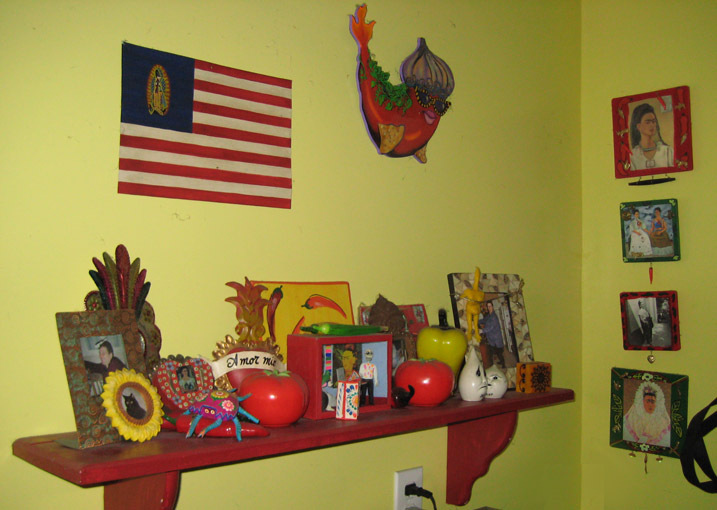 But the kitchen represents a whole 'nother world, one filled with chile peppers and Mexican folk art. Mr Minx and I went to New Mexico for our honeymoon, and I've long been a fan of Mexican folk art, Frida Kahlo, and the like. 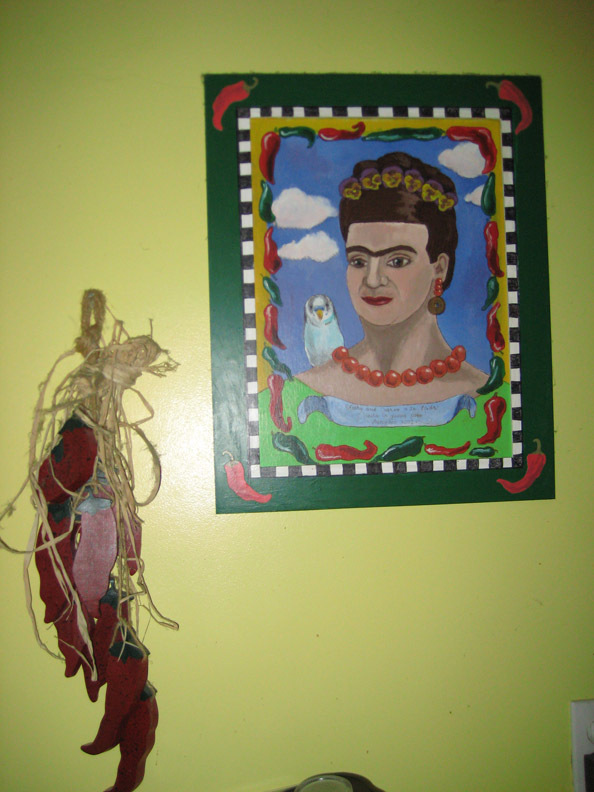 It seemed only natural to include these elements in our kitchen. Our kitchen is a tiny narrow galley with a door on each of three walls. The fourth wall has all of the built-in cabinets and appliances. The outside wall not only has a door but also a window, with the stove jutting out nearly the entire width of that window, transforming the wall into no wall at all. The opposite side of the room has the entrance to the basement and just enough space for a narrow cabinet which we use as our pantry. It came unfinished from Just Cabinets, and after a couple of coats of Kilz, Mr Minx and I painted it with a chile pepper motif. The wall opposite the appliances was originally completely bare. The previous owners had a table and two chairs in the space, but we felt it better to add a butcher block island and a narrow table for our microwave. This shelf of tchotchkes is above our microwave table. 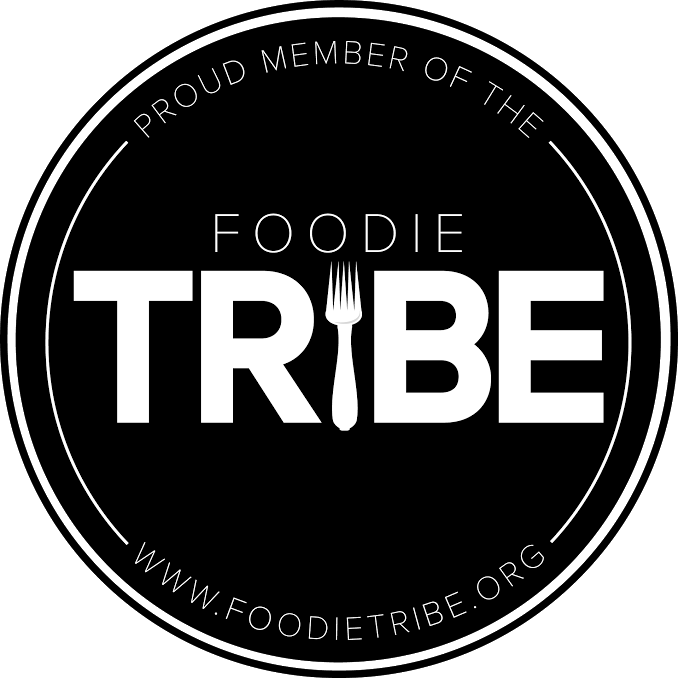 Want to see some of the goodies up close? 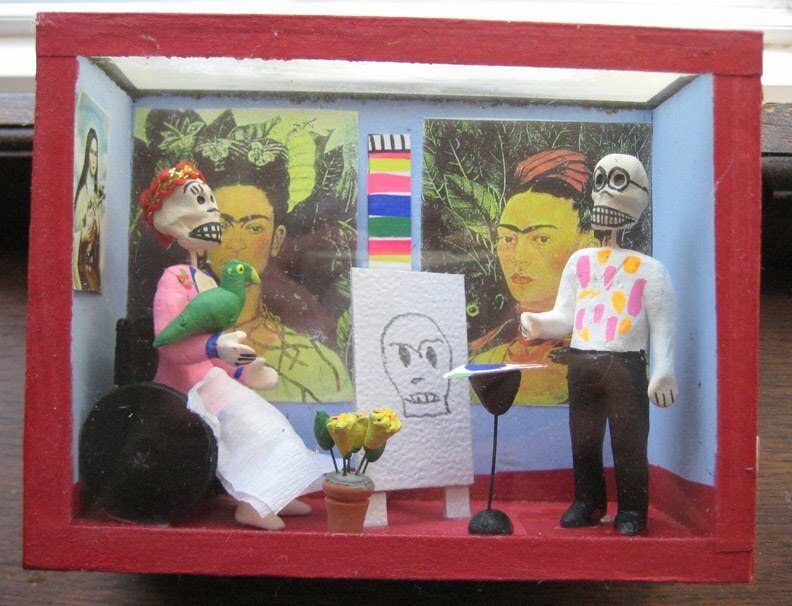 This Mexican folk art diorama shows Frida Kahlo being painted by her husband, Diego Rivera. 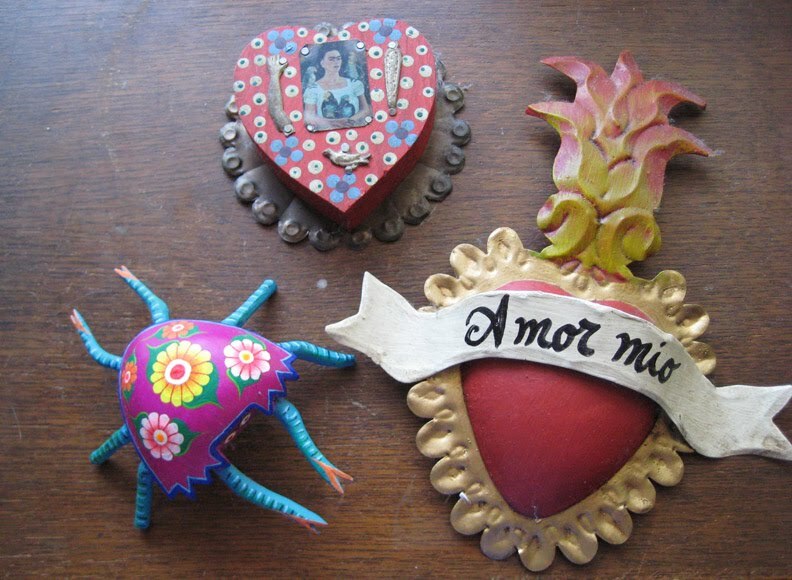 Some other examples of Mexican folk art include tinwork and a Oaxacan wood carved crab. 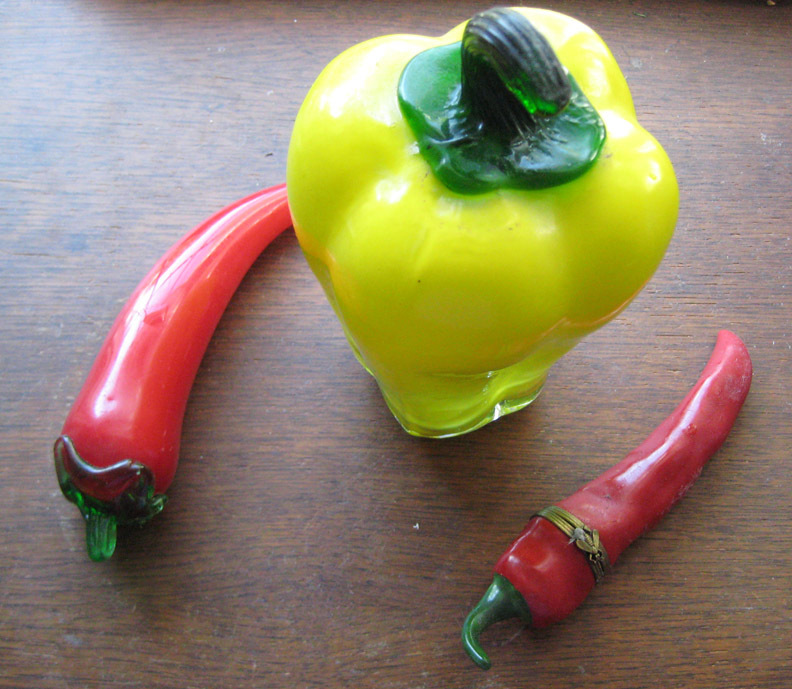 I have several pepper-shaped items, including these two glass peppers and the ceramic pepper-shaped Limoges box. Several of the items were purchased on eBay, and I'll never forget one particular transaction. The lot I purchased included two glass chiles, including the one above, and a large cappuccino mug and matching saucer. The seller had placed the items in a flimsy shoe box, added one piece of paper toweling, and scotch-taped the box shut. 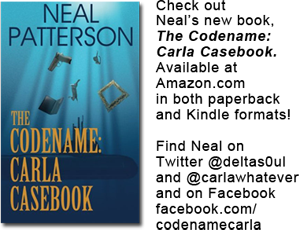 When it arrived, the box was crushed and rattled with the ominous sound of broken glass. One of the glass peppers was hollow, and it had shattered into a million pieces during transit. The cup was chipped. Miraculously, the other pepper and the saucer survived the journey unscathed. I was livid that someone could be so stupid as to think that glass and ceramic items could be safely shipped without careful packing in a sturdy carton, so I sent the seller an e-mail and gave her a piece of my mind. I may even have called her stupid. She wrote back, saying if I had yelled at her in a nicer manner, she would have refunded part of my money, as it was, I was mean and got nothing. Rather than complain further, I satisfied myself with the fact that I struck a nerve. And that the lot cost me about $5.00. Back to the decor! I had wanted to hang the shelf above the butcher block, but our HVAC vents ran through that particular wall and prevented us from drilling holes, lest we damage the pipes. I needed something large, yet lightweight, and settled on the wooden chile ristra and the self portrait of me and my late parakeet, Cuervo, in the style of Frida Kahlo. Although the color in the above photos looks like a weird murky greenish-yellow, the kitchen walls are painted a bright sunny yellow, more like the color of the oven mitt in the next photo. Yes, our kitchen towels, oven mitts, and potholders are emblazoned with the more chiles, or at least a spicy motif. We did stop short of buying chile-shaped blades for our ceiling fan, but our cabinet knobs are shaped like chiles, as are our spoon rests. 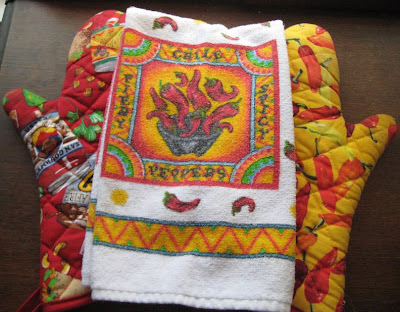 I even made chile patterned curtains and a cover for our old extra-wide toaster. Overkill? Maybe, but our kitchen is sunny and cheerful and (mostly, when nobody gets in the way) a fun place to cook. Does your kitchen have a motif? Or am I the only nutjob around here? 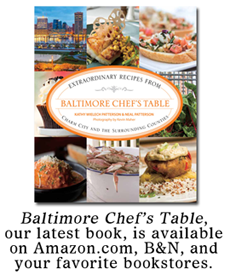 My chili pepper dinner plates would go perfectly in your kitchen. (Part of the mish mash I was talking about). I love this theme! Yellow + Red look so great!